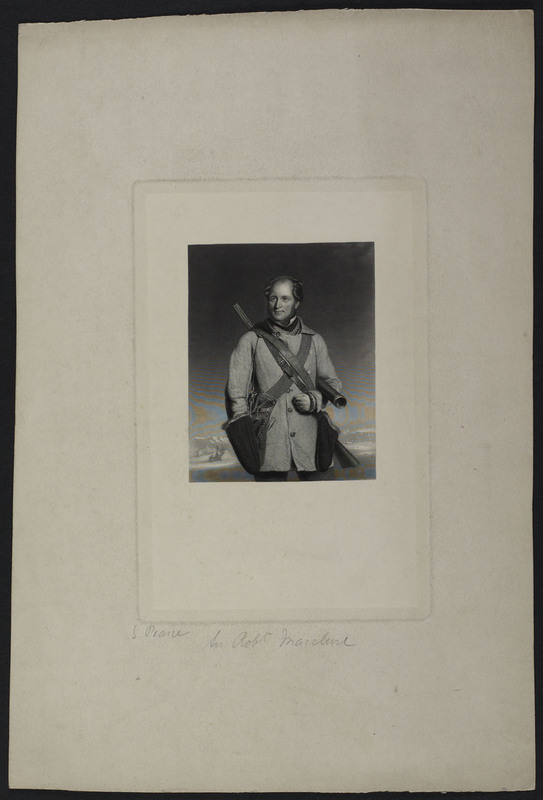 McCLURE, Sir ROBERT JOHN LE MESURIER (also spelled M’Clure), officer in the Royal Navy and Arctic explorer; b. 28 Jan. 1807 in Wexford, Ireland, son of Robert McClure and Jane Elgee; d. 17 Oct. 1873 in London, Eng. Robert John Le Mesurier McClure’s father, an army captain, died five months before his son’s birth, and an old army comrade, John Le Mesurier, acted as his godfather and guardian. 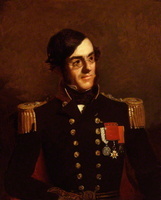 McClure was educated at Eton and Sandhurst and entered the navy in 1824. He had his first experience of the Arctic in 1836 when he served as mate of Terror under George Back. This expedition reached Foxe Channel where Terror became frozen in the ice; eventually the ship, badly damaged, recrossed the Atlantic barely making the west coast of Ireland. Certainly McClure could have had no more severe initiation to the Arctic. His next service was on Niagara, flagship of Williams Sandom*, captain on the Great Lakes in 1838 during the Upper Canadian rebellion. He went next to the West Indian Station; he received the Romney at Havana and commanded it from 1842 to 1846. Then he went on coast guard duty for two years. 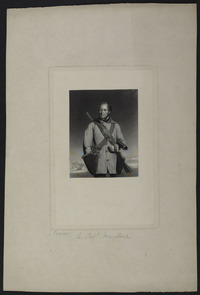 McClure’s second visit to the Arctic lasted from 1848 until 1849 when he served as first lieutenant on Enterprise in an expedition commanded by Sir James Clark Ross* on Investigator. This was the first of many expeditions in search of Sir John Franklin*. 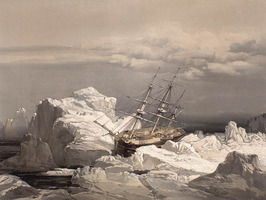 The ships entered Lancaster Sound but were soon frozen in and further searches had to be made by sledge; McClure, who spent a month on the sick list, took no part. Eventually Enterprise drifted back into Baffin Bay and returned to England with no information about the missing Franklin. This failure caused an outcry in Britain where the public felt that the government must act resolutely to discover Franklin’s fate. 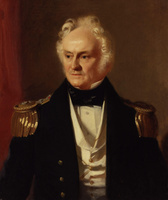 The two ships were recommissioned; Richard Collinson* was appointed to Enterprise as leader of the expedition, and McClure was given the command of Investigator. They were to rendezvous at Honolulu and approach the polar seas through Bering Strait. Enterprise arrived at the meeting point first, waited five days, and left; Investigator reached Honolulu on the day Enterprise had gone. 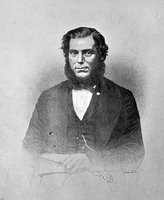 McClure then took a dangerous short cut through the Aleutian Islands and arrived before his commander at Bering Strait. Although he must have known he was ahead, McClure continued. Thirty miles past Cape Lisburne, he met Henry Kellett in Herald. 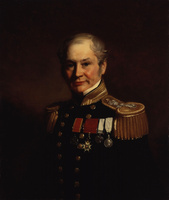 Kellett, who outranked McClure, did not believe that Collinson had gone on ahead and thought that Investigator should await Enterprise, but he did not order McClure to stay and McClure sailed on. Investigator ran aground near Return Reef but was freed to continue her voyage in a northeasterly direction. McClure’s route carried him to Banks Island and, almost immediately, he discovered Prince of Wales Strait between it and Victoria Island. He managed to sail part way up the strait before becoming frozen in for the winter; further exploration by sledge showed him that the strait led to Viscount Melville Sound and convinced McClure that he had discovered the northwest passage. His conviction was sound, but, unknown at the time, Sir John Franklin had found another route four years previously. McClure left on Banks Island a record of his achievement dated 21 April 1851 which was discovered in 1917 by Vilhjalmur Stefansson*. In 1851 ice blocked further travel up Prince of Wales Strait so McClure turned back and attempted to sail west around Banks Island. He succeeded in reaching the northern end of the island by entering Banks (now McClure) Strait and spent the winter in an inlet which he called the Bay of Mercy because it provided an escape from the crushing ice. In the spring of 1852 one of his sledge parties reached Winter Harbour on Melville Island and left a message on a rock on which was inscribed a record of Sir William Edward Parry*’s achievement in 1819. Investigator was trapped in the ice in the Bay of Mercy throughout 1852; by spring the crew were suffering badly from malnutrition and scurvy. McClure made elaborate plans for evacuating the less healthy members who would be unlikely to stand the rigours of a third winter. He had always shown a great concern for their health, delighted in their amusements during the long hours of winter inactivity, and won their respect and affection. By the spring of 1853, however, help was at hand. 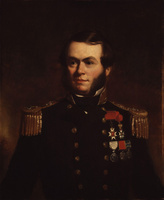 The message which McClure had left at Winter Harbour in 1852 was found by members of Kellett’s Resolute, one of the four ships of Sir Edward Belcher’s expedition. Lieutenant Bedford Pim* walked over the ice from Resolute and found Investigator. McClure wanted to keep enough men to try to get his ship back to England, but Kellett, who subsequently paid a high tribute to McClure, ordered him to abandon it. McClure and his men were forced to spend a fourth winter in the Arctic when Resolute became trapped in the ice. In April 1854 McClure and the crew were sent by sledge to Beechey Island where they boarded the transport North Star. They finally arrived in England on 28 Sept. 1854 along with the crews of Belcher’s disastrous expedition. McClure was court-martialed for the loss of Investigator but was honourably acquitted. He was promoted captain and knighted, and parliament voted £10,000 to the officers and men of his ship for finding the northwest passage. McClure served on the Pacific Station from 1856 to 1861, then returned to England. 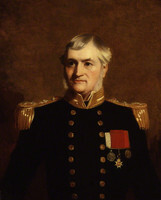 He was promoted rear-admiral in 1867 and vice-admiral on the retired list in 1873. During his years of active service he remained a bachelor but in 1869 he married Constance Ada Tudor. McClure handed all his papers over to his fellow officer Sherard Osborn who wrote an account of McClure’s great voyage. This narrative makes clear that McClure took every opportunity to obtain information about the missing Franklin. He also left records of his own movements, as well as supplies for others who might be in need, in order that the Arctic could become fully known. Osborn said that he was “Stern, cool, bold in all perils, severe as a disciplinarian, self-reliant, yet modest as became an officer. 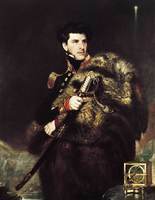 With a granite-like view of duty to his country and his profession, he would in war have been a great leader, and it was his good fortune, during a period of profound peace, to find a field for all these valuable qualities.” He will always remain one of the great leaders of Arctic expeditions. [McClure], Discovery of the north-west passage (Osborn). DNB. L. J. Burpee, The discovery of Canada (Toronto, 1944). E. S. Dodge, Northwest by sea (New York, 1961). 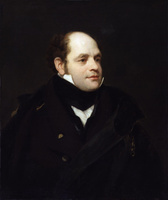 Christopher Lloyd, Mr. Barrow of the Admiralty; a life of Sir John Barrow, 1764–1848 (London, 1970). A. H. Markham, Life of Sir John Franklin and the north-west passage (London, 1891). C. R. Markham, Life of Admiral Sir Leopold McClintock (London, 1909). 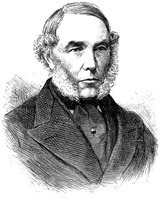 J. N. L. Baker, “McCLURE, Sir ROBERT JOHN LE MESURIER,” in Dictionary of Canadian Biography, vol. 10, University of Toronto/Université Laval, 2003–, accessed April 24, 2019, http://www.biographi.ca/en/bio/mcclure_robert_john_le_mesurier_10E.html.